Last week I made this decadent hot chocolate, and I couldn’t stop thinking about how it would taste with a giant homemade marshmallow on top. 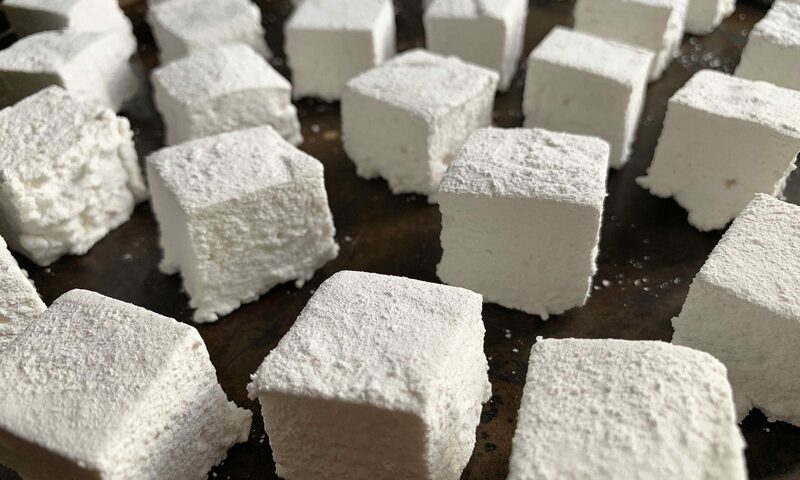 I’ve never made marshmallows before, so now seemed like the perfect opportunity to give it a go! This past week we had the pleasure of celebrating the birthday of one of our favourite humans! 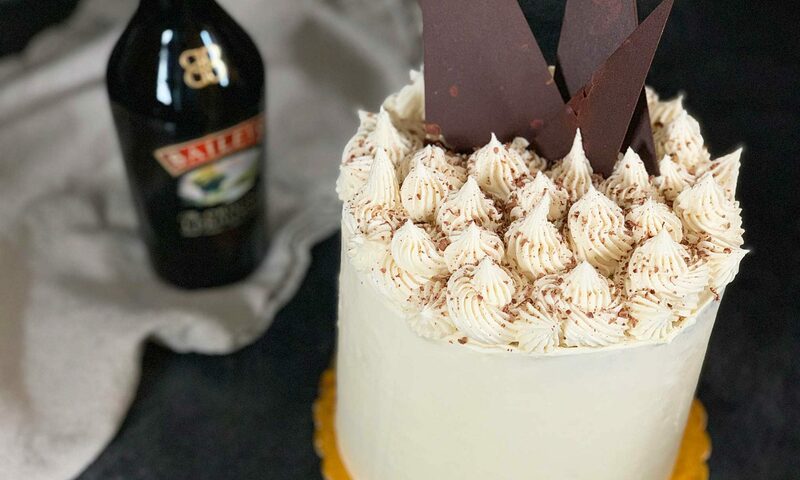 No birthday celebration is complete without a cake, so I baked this chocolate Baileys cake and frosted it with a baileys infused buttercream. 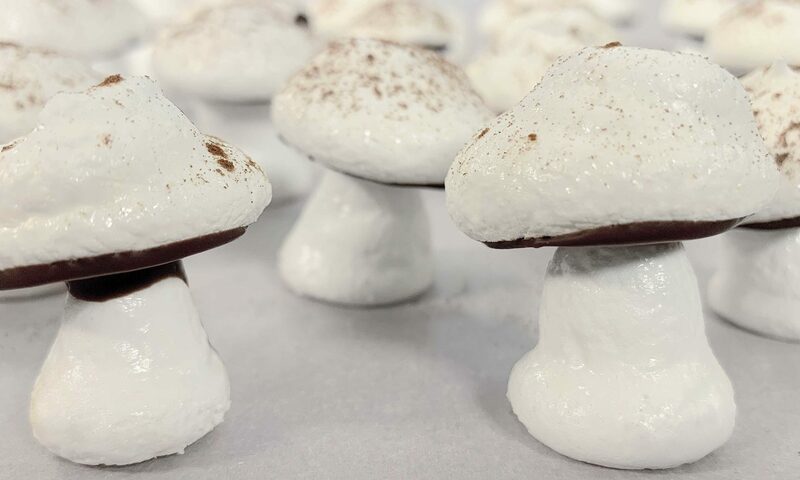 I made these little meringue mushrooms for the first time several years ago to stick on a bûche de Noël. I completely fell in love with them for both their looks, and their taste! Not only are they a great conversation starter, they’re also easier to make than you’d think! The award for best shortbread cookies in the world goes to my Dad. Hands down, no argument. His shortbread was rich and buttery, with just the right amount of sweetness. It was impossible to ever eat just one. 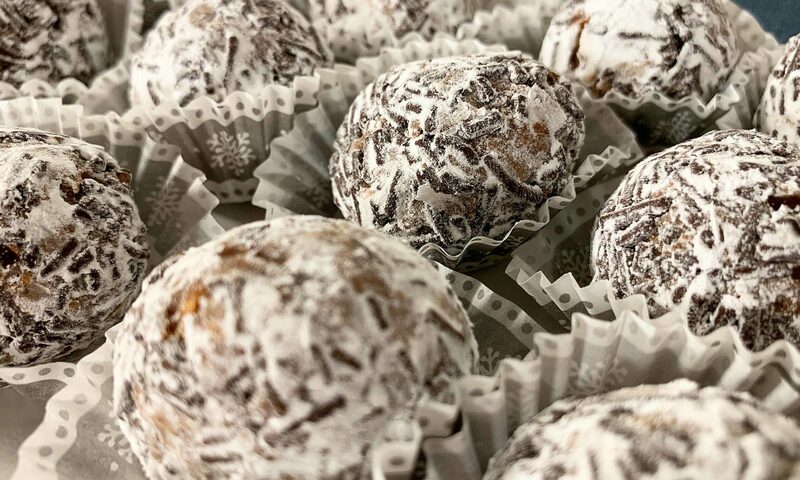 Ah, the annual making of the rum balls…I don’t know what it is about making boozy balls that I enjoy so much. Maybe it’s the booze. Maybe it’s the…booze. Either way, they have become a tradition of mine. 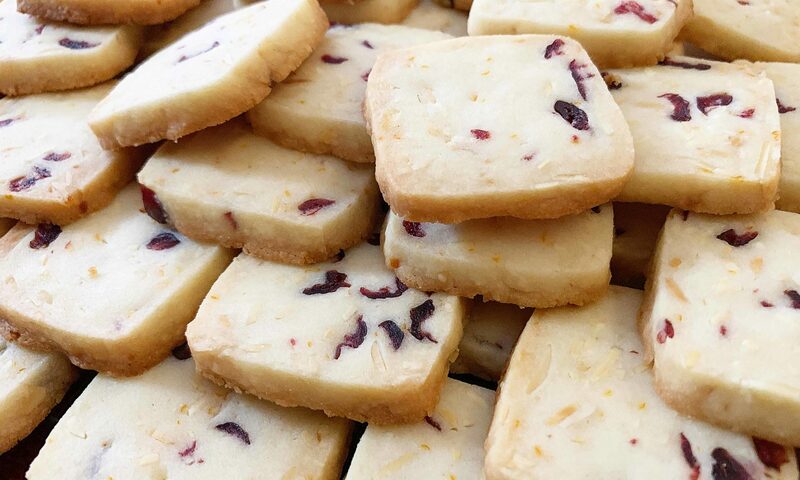 These cranberry & orange almond shortbread cookies may be small, but they are packed full of flavour. The bright, citrusy, orange zest is what really shines in these cookies, while the cranberries add a complimentary tartness against the subtle almond base. I used to be a shortbread purist. 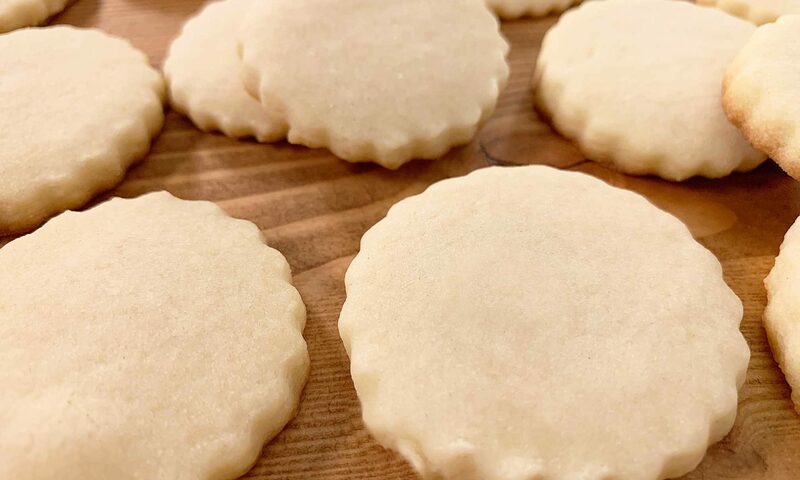 I would only ever make pure, simple, unadulterated shortbread cookies until one day I was introduced to the wonder that is Mrs. Millard’s Toffee Shortbread. 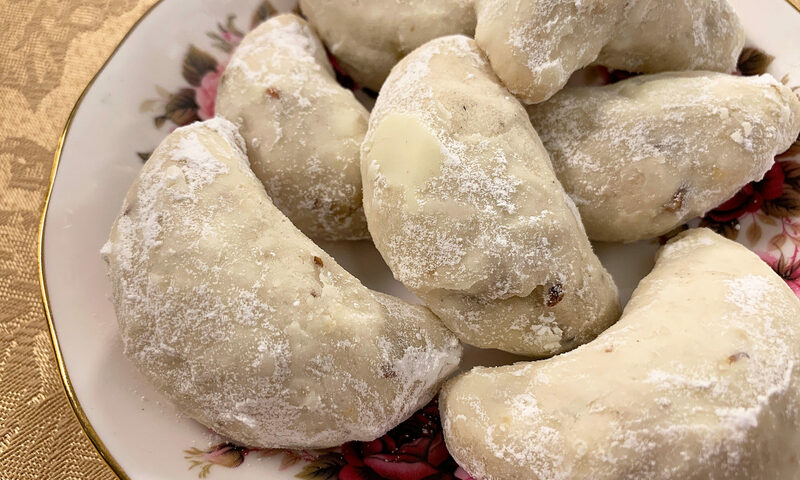 These walnut cardamom crescents opened by mind to the aromatic wonders of cardamom. It was not a spice I had paid much attention to until I made these cookies and then I was hooked. 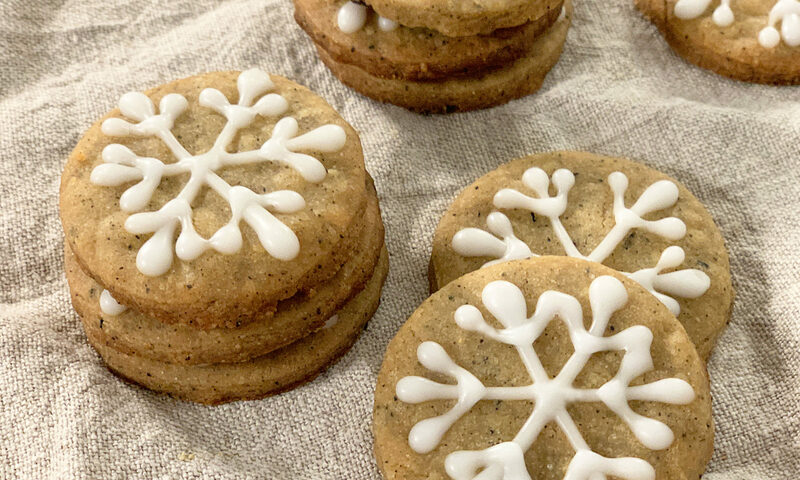 These spiced chai tea snowflake cookies are light, aromatic, and will fill you with the warm and fuzzies with every bite you take. They get just a hint of sweetness from their decorative iced snowflakes, and pair perfectly with a cup of tea or coffee. 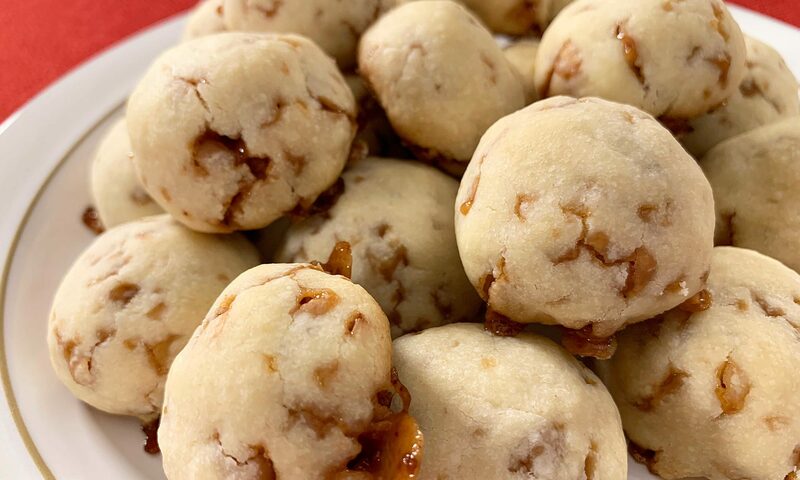 What do you get when you take a buttery shortbread cookie and smother it with rich caramel and milk chocolate? 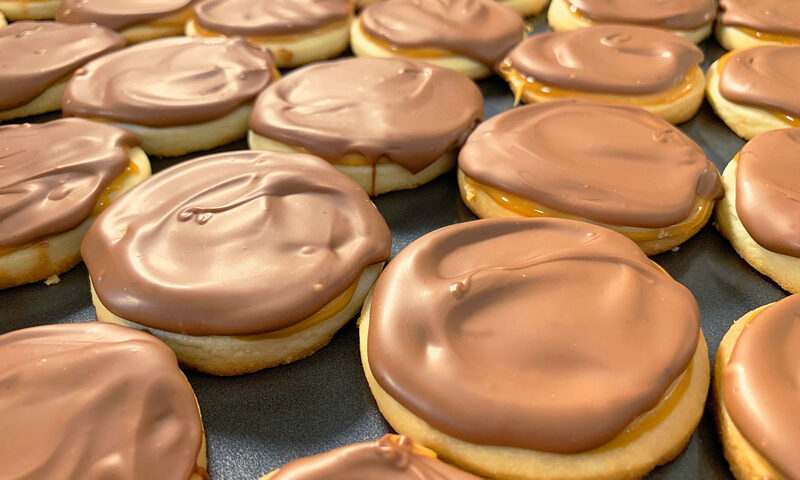 Heaven…Although I’ve also heard them referred to as Twix Cookies. Sharing my love of food, crafts and creative projects. Follow along as I eat cake, make mess, and maybe bust out a power tool or two.